What is the difference between a market order and limit order? You can enter a trade with a limit order or a market order. 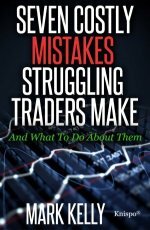 When developing your trading system, two things you need to consider are the time it takes to enter the market and also how slippage, that is the price you are filled at vs the price you wanted, will affect your trade. This should be part of your money management plan. By defining how you will enter the stock market, you will know before you buy if you are decreasing or increasing your risk level. In the short video above I discusses the difference between static and dynamic quotes and why, when you place a market order instead of a limit order you may get filled at a higher price than you expected. How should you buy or sell a stock: limit order or market order? - increases speed at which you will enter the market. 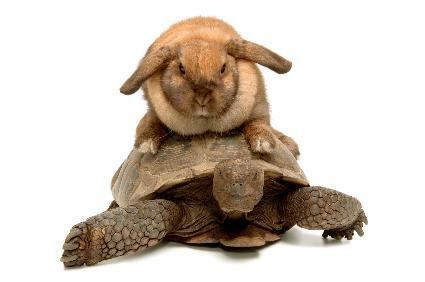 In the stock market you can either buy fast (market order), think about the hare in the hare and tortoise story or slow (limit order) like the tortoise. Let us look at the stock market. For every stock there is a bid and asked price. For low volume stocks, say under 50,000 shares traded per day the bid/asked spread can be quite large. This means that someone wants the stock but is only willing to buy it for 5.78, but the seller wants 5.86. Therefore, this stock will just sit there until either a buyer raises their bid price or a seller lowers their asked price. When the two match, you have a trade. The spread is much narrower and trading occurs much more frequently. If you need the stock right now you need to place a market order. You would likely pay $5.86 per share for ABC and $5.82 per share for XYZ but you should get filled within seconds after placing your order. In a fast moving market, the asked price may change quickly. In the case of XYZ, just after you place your order, the asked price could jump to $5.85. You now just incurred some unexpected slippage and paid $5.85 for the stock. If you want the stock but only want to pay $5.81 per share then you would place a limit order at $5.81. In the case of XYZ you would likely pick this up within a minute provided the stock price did not move up on you after you placed your bid. However, for ABC, you would only buy the stock if someone dropped their asked price. This could take minutes or hours but there will be no slippage in this transaction. However, there are times when you will not be successful in your purchase when you buy a stock this way. The choice is yours. When you place a limit order, you know what price you are paying but you are unsure whether you will get the stock. When you place a market order, you know you will get the stock buy you will not know the fill price until after you purchase the stock. If you are still confused about the difference between a limit and market order, Alexander Elder in his book "Come Into My Trading Room", which is reviewed in our book summaries section, gives a more complete definition of market and limit order. If you now understand the difference between limit and market orders and are ready to take the next steps on your trading journey you should learn from professionals. Understanding the stock market takes time and is a skill, that once learned, can be used throughout your lifetime and taken with you were ever you go. Another type of order which can be entered is a bracket order. This type of order allows you to enter both a limit and a stop loss order or a stop limit order at the same time.